Mixing the size of a sport utility vehicle with the easier handling of an automobile, top luxury crossovers can offer drivers the best of both worlds. For drivers and families looking for a new car, it can pay off to consider whether one of the top crossovers below is the right choice for you. Since luxury crossovers are a relatively new introduction to the American auto market, many buyers are interested in understanding the difference between a crossover and an SUV. From an expert perspective, that contrast is straightforward: top crossovers are built on the chassis of a car, while SUVs are built on the platform of a truck. Beyond the fundamental distinction in platform, there are several other important differences that make crossovers popular. The 2016 crossovers have a taller profile, a higher center of gravity, and better driver visibility than cars. At the same time, they weigh less, handle better, and have a more stylish design than most SUVs. You can learn more about the key features of seven top 2016 crossovers below. The Audi Q5 is virtually the definition of a luxury crossover, distinguished by a high-end interior that provides both lots of comfort and a dash of style. Reviewers have lavished praise on the Q5’s handling — even saying that it gives the vehicle an “expensive” touch. Despite its relatively small size, the Q5’s interior design leaves plenty of room for passengers and luggage. Audi is also justifiably proud of the Q5’s Quattro all-wheel drive, a feature not shared by all luxury crossovers. However, some drivers have expressed disappointment that the Q5 doesn’t include more technology integration, such as USB ports. 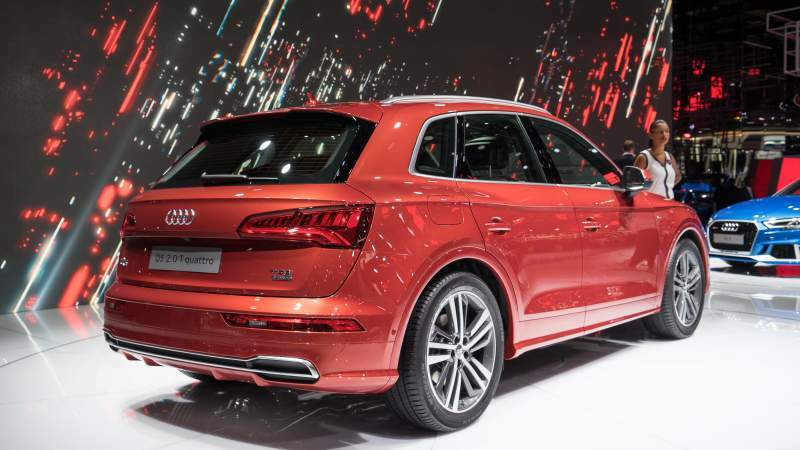 The Q5’s fuel economy is better than most similarly-sized vehicles: 20 miles per gallon in the city and 27 mpg on the highway. And the $40,900 MSRP is well within an affordable range, especially since Audi is known as a make that holds its value well over time. Given all this, it should be no surprise that – with more than one million sold in just the last seven years – the Q5 has become Audi’s best-selling model in the United States. The X6 has been a popular addition to BMW’s lineup and has distinguished itself to reviewers with its powerful, yet quiet, German engines. Drivers have also praised the comfortable front seats and a well-designed interior. 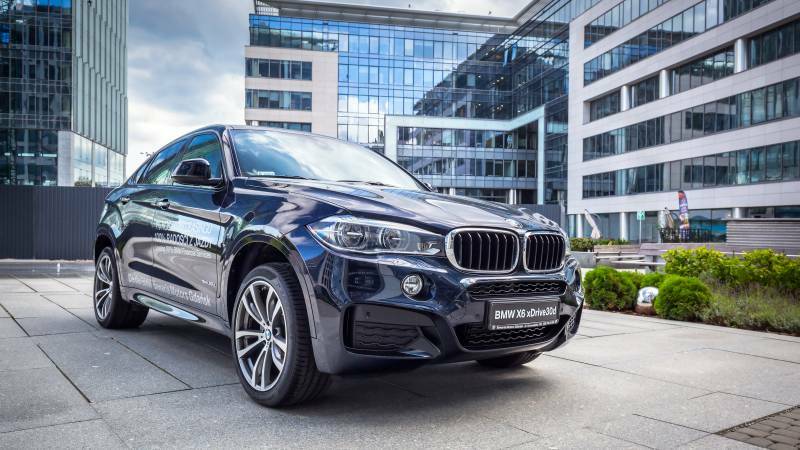 BMW has also received praise for including cutting-edge technology, including stellar audio, and almost every relevant safety feature in the X6. Some drivers have expressed concern about the X6’s relative power fuel economy. The vehicle gets only 18 miles per gallon in the city and 25 mpg on the highway, numbers that are at the lower end of the luxury crossover class. Reviewers have also taken umbrage at the lack of space for cargo and the limited room for passengers in the rear of the vehicle. Unfortunately for consumers, the X6 is priced at the high end of the market: the MSRP is nearly $62,000. Potential buyers should decide for themselves if this crossover, which does have a few drawbacks, is worth a premium price. A new introduction for the 2017 model year, the Cadillac XT5 replaces the struggling Cadillac SRX in the luxury crossover segment. Reviewers unanimously agree that XT5 is a major step up on the SRX, and owners are particularly enamored with the vehicle’s sleek design, which has never been a Cadillac specialty. At the same time, the XT5 upholds Cadillac’s long-held reputation for creating “big boats” that have lots of interior space. Reviewers have been particularly complimentary of the cargo space, generous head room, and plenty of comfort in the rear seats. And, like Cadillacs’ of old, the XT5 has plenty of leather to create a plush feel that radiates luxury for driver and passenger alike. On the disappointing side of the ledger, however, the XT5 does not offer the type of technological interoperability that is increasingly expected in luxury cars. Fuel economy for the XT5 is merely average: 18 miles per gallon in the city and 26 mpg on the highway. However, budget-conscious consumers can take comfort that the XT5 is priced in the sweet spot of the luxury crossover market: its MSRP is $38,995.